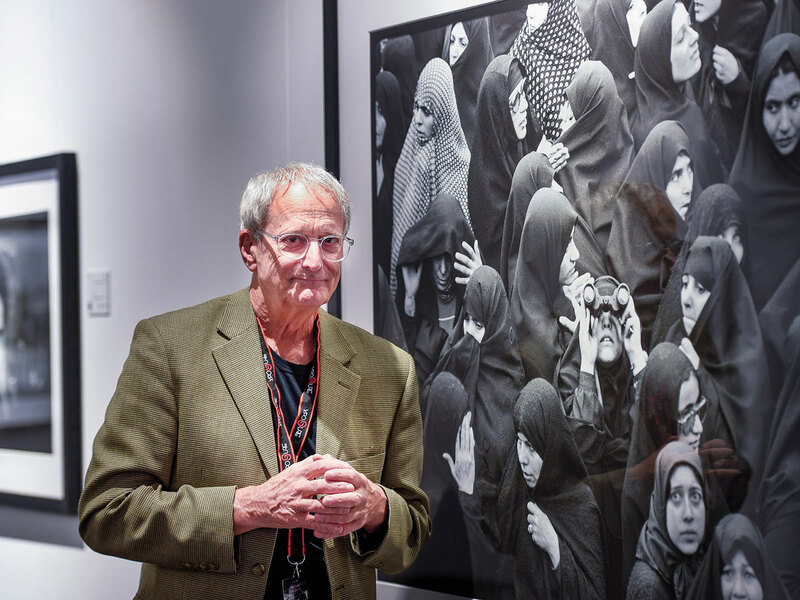 Sharjah: You could expect David Burnett, one of the world’s top photojournalists, to go on about his brushes with danger, or the close encounters with people and events that shook the world. You could expect the 72-year-old American to rouse aspiring photographers to go out there, shutters firing, to capture epic moments, like his jarring images of imminent peril and overwhelming emotion pouring out during the 1979 Iranian revolution or the Vietnam War. Instead, Burnett has a rather simple message to share. It is the little moments in life that matter the most, the visiting master lensman told Gulf News on Wednesday at the Xposure 2018 photography show in Sharjah. And he wishes he had captured more of those moments. “I didn’t take pictures of those things with my friends, those personal relationships with family — I didn’t bother to take a picture because that wasn’t ‘the job’. I wish I had done way more of that. I now understand in a way that I can appreciate [those moments] much more now than when I was younger. So for me to be able to tell that to people, especially younger people, I think is important,” Burnett said. That’s not to say Burnett didn’t photograph loved ones — he did — but he was mostly occupied with work.